An awareness of the challenges your newborn faces at birth when transitioning from the warm, fluid environment of the womb to the cooler, dry environment of our world helps you understand what your baby’s doctor and nurse are looking for when they examine your newborn. Here are the three main events that will be new challenges for your newborn to experience once outside the womb. The majority of term babies easily transition to breathing on their own. You can tell the newborn in the picture is breathing easily by her relaxed facial expression and pink lips. Some babies may need a little help in the form of suction or oxygen before they can breathe on their own. And some babies require no additional help at all. Certainly the vast majority of term newborns make this transition to breathing on their own very easily. 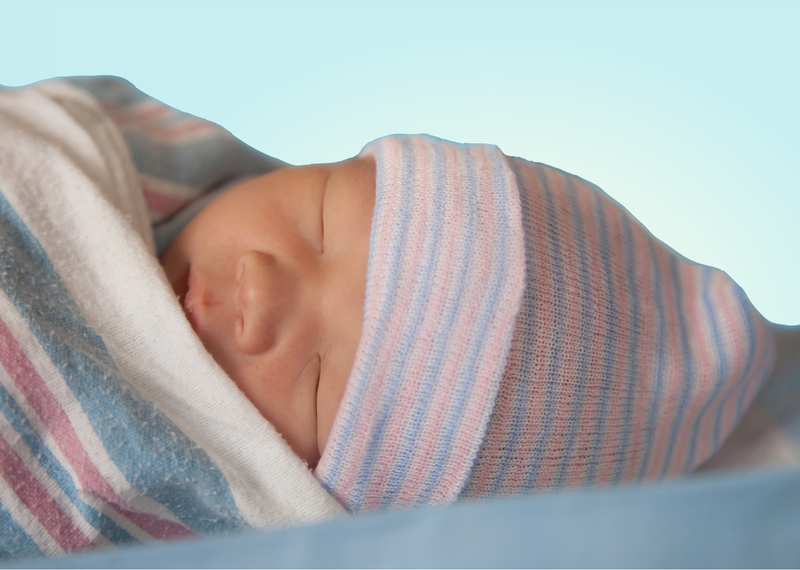 Most term newborns can regulate their body temperature shortly after birth too. Regulating temperature means that whenever you change your baby’s diaper or clothing, your newborn will quickly return to a normal body temperature once dressed and swaddled. If your baby needs a little help to keep warm, the most common intervention in the hospital is to place your newborn in a warm protective environment called an incubator. This will help your baby stay warm while “learning” to regulate body temperature. Before going home, you and your baby as a team should be able to demonstrate successful feeding resulting in minimal weight loss for your baby. No worries. You will have lots of opportunity to learn about feeding. Your new baby will want to eat frequently. In fact, for about an hour after delivery your baby will be alert, and will usually be interested in feeding. Professionally, this first hour after delivery is considered to be a very special time to offer that first feeding. So, if at all possible, you should try to feed your baby right after delivery. It’s really good for both of you. Although breathing, keeping warm, and feeding are challenges every newborn faces at birth, the vast majority of healthy term newborns master these challenges quite easily. Thank you Mother Nature! As your baby’s doctor and nurse examine your newborn they should share your baby’s progress with you and discuss your plan for going home. To keep the exchange of information flowing, just ask.